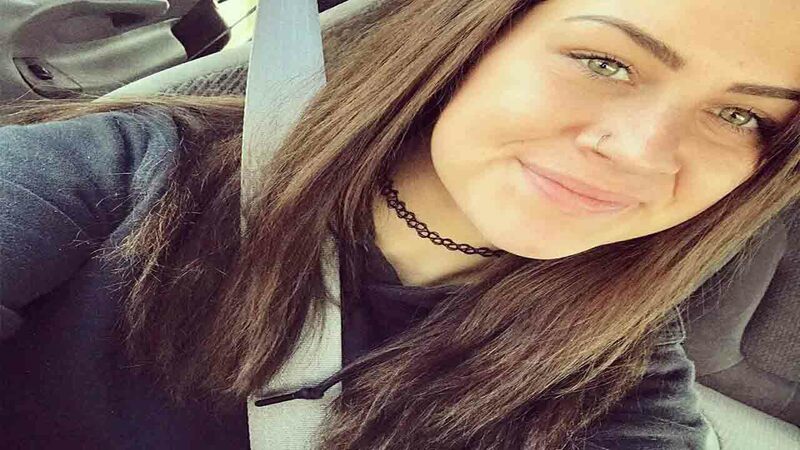 EASTLAKE, Ohio -- An Ohio man's Facebook post about losing his daughter to her heroin addiction is reaching people around the world and bringing tears to their eyes. On Tuesday, Tim Sherman wrote the heartbreaking post after his daughter 23-year-old Karisten Sherman passed away on Christmas Eve. Sherman said his daughter had struggled with her addiction for years but had been clean for just over a year ... or so he thought. He said his whole world came crashing down on Sunday when he got a phone call from a detective. "At 5:50 pm I got the call from the Det at Eastlake Police that my daughter was found dead in her bed from an overdose," he said in the post. "I immediately fell to my knees in the snow and began to cry like a baby. I could not believe that my Tigger had done this. " After recounting the heartbreaking call, Sherman described going to his daughter's home and seeing her dead in bed. He said Karisten was blue in the face, clenching her teeth, had blood under her nose, and had clenched fists "grasping so tight at what looked like she was trying to grab life back in her." Sherman was present throughout his daughter's heroin battle, even attending her first narcotics anonymous meeting. "If you can't kick the dragon for good I will be the one to zip you up, but I will be with you every step of the way when you need me," he recalled telling her in the Facebook post. And while his biggest fear came true, he said he refused to break his promise. "(When I saw her body) I was told I couldn't touch my daughter in case there was any lethal powder still on her," he wrote. "I ask for gloves and glove up cause I'll be damned if I'm not going to help my daughter One last time or hug her and let her know I Love her ... Well, I kept my word and spread the bag out and carefully placed her in it to say goodbye to her so they can find out what it was that she took. I zipped her up in her body bag and helped them carefully place her on the cot." Sherman hopes his post can help other families struggling with similar issues. "If you know someone close to you on Heroin or recovering from Heroin, take it from me, do not, I repeat DO NOT let someone tell you how to handle a situation, especially if it is your own child and do what your gut tells you 100% of the time." His post has been shared more than 7,000 times. Warning: The language in Sherman's full post may be considered graphic to some.